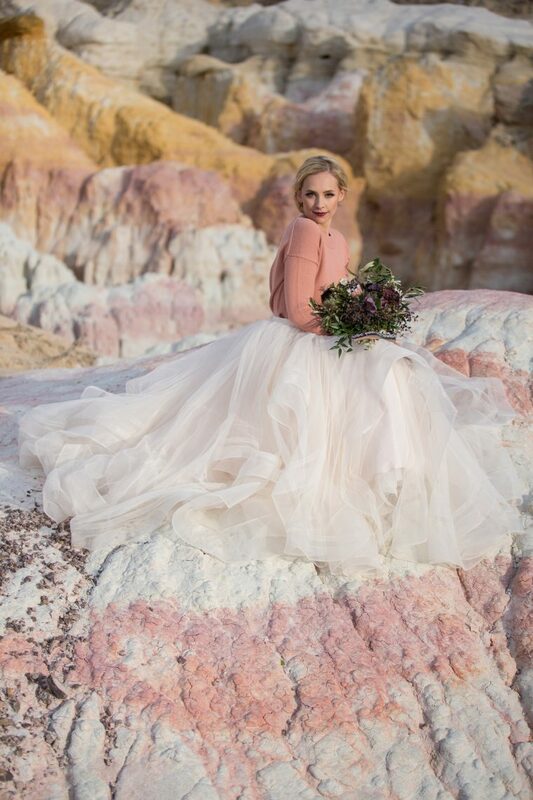 One of our most exciting highlights of this year was hands down being featured and collaborating with Rocky Mountain Bride on their 2018 Gown Guide. 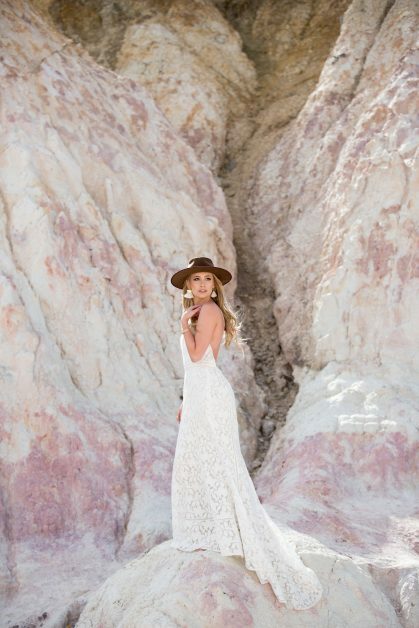 Blue Bridal Boutique was so honored to be chosen as the exclusive bridal boutique for this spread, and it was an even greater honor to work with such talented individuals in the wedding industry! 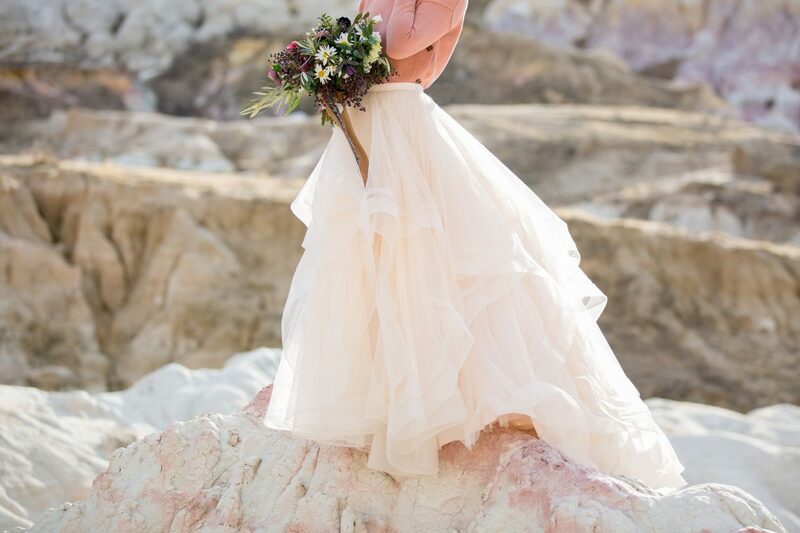 The purpose of this wedding dress shoot was to enhance and encourage the bride’s style with unique and quirky details that are out of the norm, yet still chic and whimsical. It was so fun selecting the wedding dresses with this team and allowing pieces to fall into place as the vision for this shoot came to life. 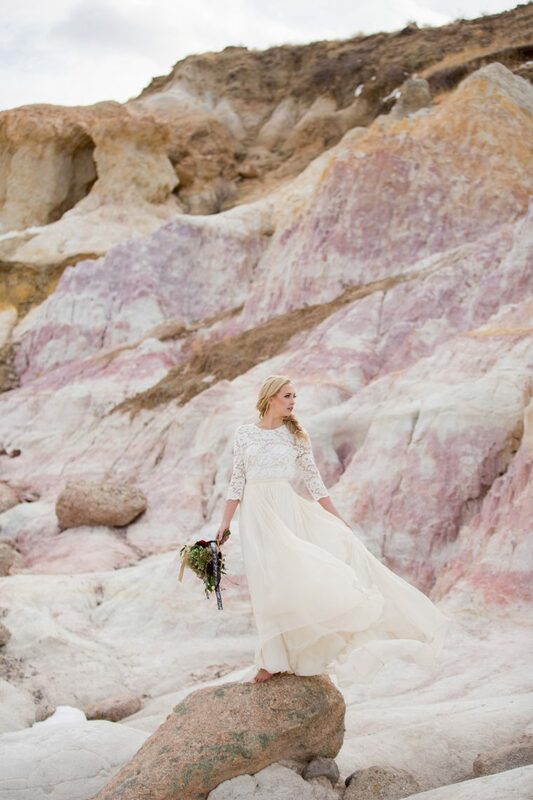 The dream team from RMB, Chelsea + Taylor, as well as Pam Zola (wedding planner) curated an adventurous design concept for the Colorado bride that included funky hats, jewelry, sweaters, and organic elements. 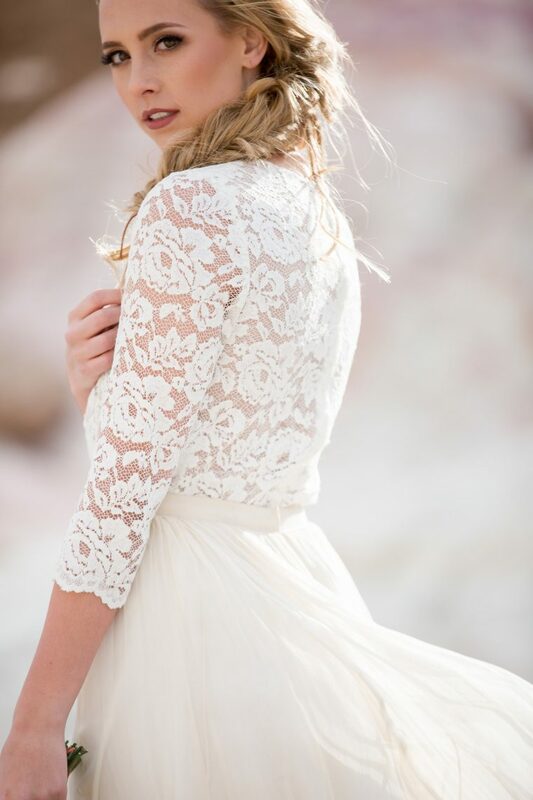 Photography by Jamie Beth Photography was jaw-dropping; her eye for lighting and angles is what makes her one of the best in Colorado! Enhancing this vision is the “venue”, The Paint Mines. This historic, hidden gem of a park, located in southeast Colorado, is unlike any other we’ve seen. The colored sediment rock formations create a magical background full of colors and native history. 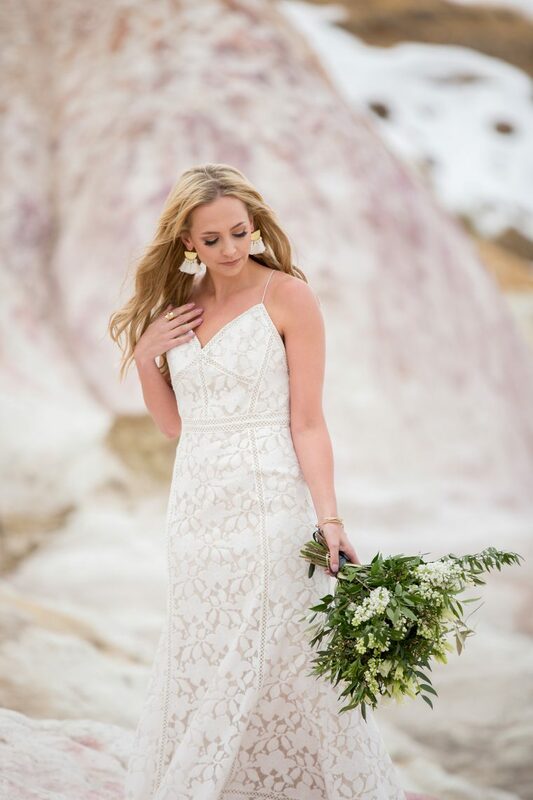 Tristan from Project Floral rocked the bouquets with simple botanicals to complement the pastel shades, and Amy DeCosta slayed the natural bridal look with soft curls and understated makeup with bold lashes. 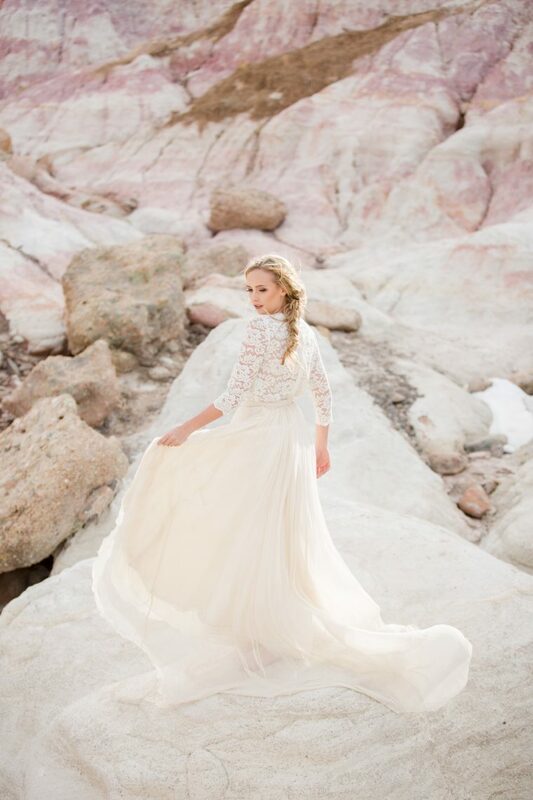 We can’t thank Rocky Mountain Bride enough for coordinating this photo shoot, it was so much fun and each vendor brought incomparable talent to the table! 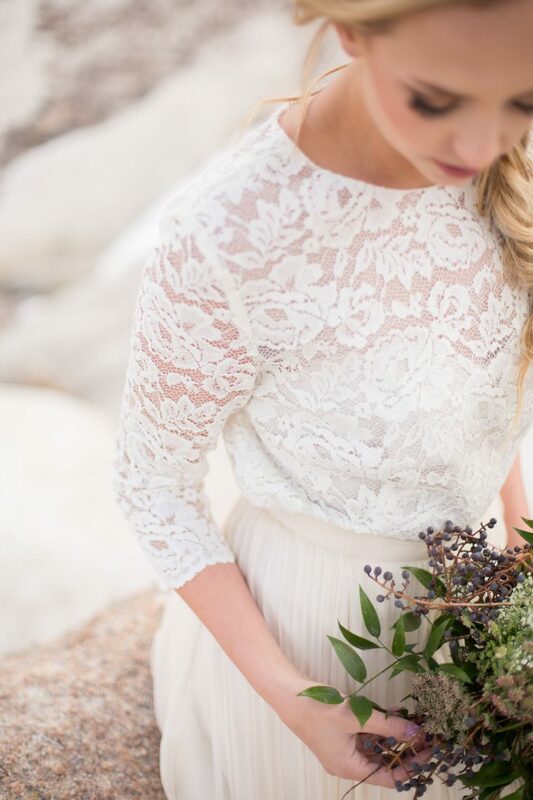 As a bride-to-be, make sure to check out the wedding dress selection at Blue Bridal Boutique.